The history of Château Margaux, stretching as it does to the twelfth century as ‘La Mothe de Margaux’ reads like a microcosm of French history over the same period – nobility, innovation, renaissance, then revolution, followed by renaissance, decline and renaissance again. 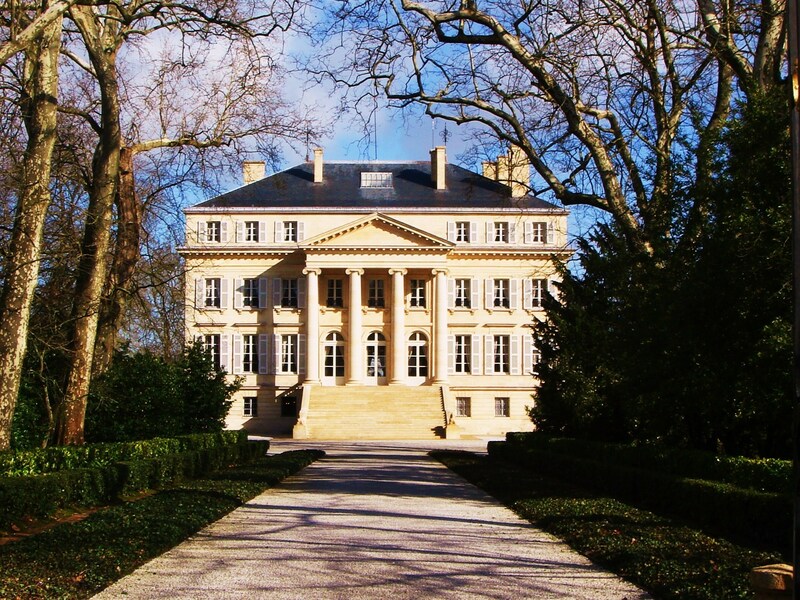 Today, Château Margaux is an estate now at the height of its powers, one of the leading fine wine producers in the world. As a wine in the glass it is simply gorgeous and combines power and richness with Margaux complexity that is rarely trumped in the appellation. The estate was run by Paul Pontallier until his death in 2016. Pontallier was unarguably one of the finest wine managers and winemakers in the world [he joined the estate in 1983], although Château Margaux owes its modern day preeminence to the late Andre Mentzelopolous, the Greek tycoon who bought the estate when it was down in the doldrums in 1977 from the Ginestet family. His first wine, the 1978, was a revelation and Château Margaux really hasn’t looked back since. Mentzelopolus himself died in 1980 and the estate has been run by his daughter Corrine with dedication ever since. In a winemaking world of technical hi-jinks and cellar chicanery, Château Margaux stands by tradition, not in a hard headed sense, but through thorough understanding of what works and what doesn’t over time. Fermention in oak fermenters not stainless steel, barrels topped for the first six months, traditional cellar racking – here lies the understanding and confidence that great wine is made in the vineyard – and that cellar techniques are there simply to help express this, not exaggerate it. If the wines are wonderful, they now have prices to match. Save for Lafite and Latour [occasionally Mouton] there is no more expensive bottle Médoc. The grand vin in 2009 was released at £8000 [$12000] or so a case. But the wine, ah the wine….a sensational example of intensity and balance – and in a hot year it hits the scales at a refreshing 13.1 degrees. Pontallier and his team said it was then the finest young wine they have seen in the estate in thirty years – until the 2010 came along. I had the 1982 over a decade ago. It is one of the finest wines I can remember drinking from that great vintage. The second wine Pavillon Rouge is excellent and for a long time sure bet but has really leapt up in quality over the past five years or so as more and more of the grand vin is declassified into it. Since 2009 a third wine has also been released. Pavillon Blanc, the ultra premium 100% Sauvignon Blanc, is surely the best white in the Médoc, though it doesn’t come cheap and more complex and longer-living whites are available down in Pessac-Leognan of course…. The loss of Paul Pontallier in 2016 was a very great blow to the world of wine as well as Château Margaux itself. He was a tireless ambassador for the property and of the wine of Bordeaux. Charming and erudite, Paul will be sorely missed. The exceptional 2015 vintage is a fitting tribute to the man. Vineyard/Soil: 80 hectares devoted to red varieties [75% Cabernet Sauvignon, 20% Merlot and 2% Cabernet Franc and Petit Verdot] and 12 hectares devoted to Sauvignon Blanc. Selection in the vineyard and at the chais. Winemaking/Elévage: Vinified in mostly wooden fermenters 18-26 months barrel ageing depending on the vintage with pumping over.Seven to ten rackings depending on the length of time in wood, performed under air pressure and then via candle. Barrels [one third of which are made on a cooperage established on the property] come from a diversity of forests and toasts. The barrels are topped for the first six months. 2015 Deep and beautiful looking; lovely vibrant purple edge; beautiful, pure fruit; sense this will be very harmonious indeed; more blackcurrant cassis notes unfurl from the glass; very seductive stuff; wonderfully balanced on the palate; seductive fruit tones continue; elegance and intensity; tannin at the end is wonderfully ripe. This is potentially perfect Margaux. No better tribute to the great Paul Pontallier. [87% Cabernet Sauvignon, 8% Merlot, 3% Cabernet Franc, 2% Petit Verdot, 13.5% alc]. Drink 2025-2045. 98-100.